Eat & Go | CREATIVE RETAIL PACKAGING, INC. In celebration of the rise of unique packaging design for specialty food and restaurant concepts, Sandu Publishing Co.’s Eat & Go hit shelves worldwide in the Fall of 2014. 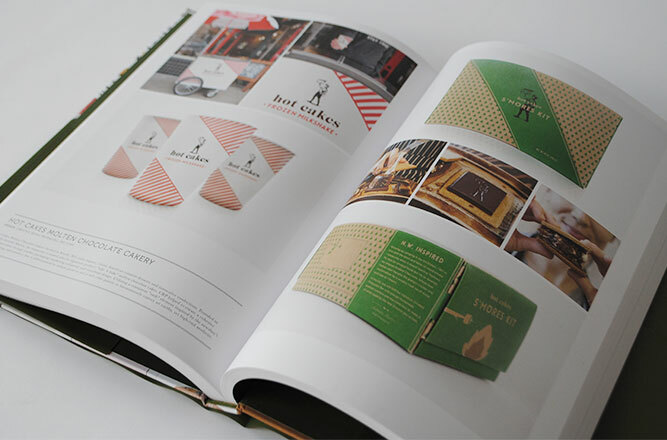 The book features over 200 pages of compelling branding and design for restaurants, cafes, food delivery services, specialty products, and more.CRP client Hot Cakes is prominently featured with a full-page spread that includes photos of the Seattle-based storefront in Ballard with its signature milkshake cart and S’mores Kit. Books are available for purchase online through Amazon.com.